A unique and opulent combination of White Water Lily and bold White Daffodil blend perfectly with the full-bodied White Amaryllis. EAU DE PARFUM with box used. 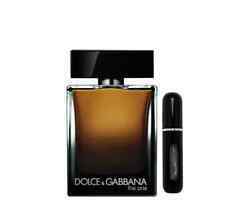 AUTHENTIC DOLCE&GABBANA THE ONLY ONE EDP, 50 ml. Condition is New. Dispatched with Royal Mail 2nd Class. Tangy citrus top notes mingle mandarin orange with grapefruit. A heart of vivid, salty sea water combines with aromatic juniper. Finally a base of amberwood and musk give the scent a comforting edge. Dolce & Gabanna Light Blue Italian Zest Eau De Toilette 50ml. The glowing white rose and jasmine petal heart is more radiant than ever. Dolce & Gabbana Light Blue Sun Limited Edition Eau De Toilette 50ml. This summer Dolce&Gabbana Beauty adds a solar twist to its cult scent Light Blue with a Limited Edition: Light Blue Sun. Infused by coconut water and frangipani flower, this new fragrance offers an addictive facet of the signature scent Light Blue. Light Blue Sun invites you to live the passion of a young summer crush on the island of Capri. DOLCE & GABANNA LIGHT BLUE WOMAN. EAU DE TOILETTE SPRAY 50ML. Middle notes include: jasmine, bamboo, white rose. Base notes include: cedar, musk, amber. Dolce & Gabbana. The One Gentleman. All our products are 100% genuine. 100% GENUINE. The One Gentleman by Dolce & Gabbana Eau de Toilette 8ml . Light Blue Love in Capri is a dynamic fragrance with the aromas of the islands such as citrus fruits and white flowers. It opens with fresh mandarin and lemon, leading to the heart of honeysuckle and a woody base of cedar and musk. Dolce & Gabbana Light Blue Sun Pour Homme Eau De Toilette 75ml Limited Edition. This summer Dolce&Gabbana Beauty adds a solar twist to its cult scent Light Blue with a Limited Edition: Light Blue Sun Pour Homme. A cocktail of Italian bergamot and frozen grapefruit infused by coconut water boosts Light Blue Pour Homme’s signature contrast of coolness and sensuality. Light Blue Sun invites you to live the passion of a young summer crush on the island of Capri. This feminine fragrance opens with gentle top notes of Neroli, Raspberry and green mandarin, middle notes of Jasmine and Orange Blossom create a seductively floral scent. Base notes of Guimauve, Vanilla, Heliotrope and Sandal wood give the fragrance an intense finish. Edt 7.4ml Perfume Roll on Women. Dolce & Gabbana D&G 3 L'Imperatrice Eau De Toilette 100ml Spray - For Her. The differences are the amount or the concentration of oils that are in the scents. The higher the concentration of oils, the longer your scent will last, and the less you should need to apply. 100ml Eau de Toilette Spray. Vibrant, magnetic she exudes charisma and force of character. All heads turn when she enters a room. Succulent exotic fruits and bright pink florals give way to a musky, appetite arousing base. 125ML AFTER SHAVE LOTION. DOLCE & GABANNA. Without alcohol, the fragrance of many ingredients would never be fully realized. But, when exposed to air, alcohol evaporates. When a fragrance is opened, it will be affected eventually although it will be a very slow and unnoticed rate (unless subjected to heat), the alcohol will evaporate, leaving a more concentrated fragrance. 25ML EAU DE PARFUM SPRAY. DOLCE & GABBANA. It is therefore the strongest fragrance available and being the strongest, lasts the longest, and one obviously has to use less of the product. Depending on skin type one could expect the fragrance to last up to 6 hours. Perfect condition Dolce & Gabbana Dolce Eau De Parfum 75ml. Just over half left. Pick up available from Red Hill Vic. Please check out my other items. Thanks for looking. Dolce & Gabbana. Light Blue. 100% GENUINE. All our products are 100% genuine. Dolce & Gabbana Anthology L' Imperatrice 3 Eau De Toilette EDT 100 ml (woman). Dolce & Gabbana. Marke Dolce & Gabbana. Anthology L'imperatrice 3. Serie Anthology L'Imperatrice 3. Toilet water. Produktart Eau De Toilette. Light Blue Love in Capri pour Femme by Dolce & Gabbana Eau de Toilette Spray 50ml . If the image doesnt look right dont worry, you will receive the item specified in the title. Light Blue 25ml Eau De Toilette EDT Spray by Dolce & Gabbana. 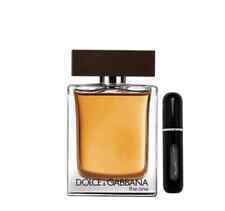 Dolce & Gabbana The One Eau de Parfum 50ml Spray - For Him. The differences are the amount or the concentration of oils that are in the scents. The higher the concentration of oils, the longer your scent will last, and the less you should need to apply. Classed as a herbal, sweet, green and tobacco scent. Heart notes: Moepel Wood and Honey. Base notes: Tobacco, Hay Absolute, and Bran. Large 100ml size. Light Blue 50ml Eau De Toilette EDT Spray by Dolce & Gabbana. Light Blue Homme by Dolce & Gabbana After Shave Balm 50ml . Light Blue Sunset in Salina by Dolce & Gabbana Eau de Toilette Spray 50ml . Dolce & Gabbana Dolce Garden Eau de Parfum 50ml Spray - For Her. The differences are the amount or the concentration of oils that are in the scents. The higher the concentration of oils, the longer your scent will last, and the less you should need to apply. Dolce & Gabbana D&G Feminine 100ml Eau De Toilette Now Discontinued. Unused. Dolce & Gabbana D&G Feminine 100ml Eau De Toilette Now Discontinued. Unused. Dispatched with Royal Mail Signed 1st class. The sensual Dolce & Gabbana Light Blue Eau Intense is for a woman who is daring and confident. Unveil your elusive femininity with the Dolce & Gabbana Light Blue Eau Intense Eau de Parfum Spray, an impassioned chapter of the Light Blue saga. It opens with a citrus character of Sicilian bergamot and a brusque citron. Classed as a Citrus, powdery and woody scent. Dolce by Dolce & Gabbana 7.4ml EDP Rollerball Pen. Classed as an aquatic, fresh, yellow floral and green scent. Heart notes: Violet, Tuberose and Frangipani. He is charismatic and seductive, elegant and sophisticated. It is a concentrate of elegance and sensuality with bright, fresh top notes, a spicy and warm heart and refined, masculine base notes. Set includes: - Eau de Toilette Spray 100ml - Shower Gel 50ml - Aftershave Balm 50ml. Dolce & Gabbana. The One Gentleman. Eau de Toilette Natural Spray 50 ml. Royal Night was launched in 2015, it opens with top notes of Basil and Cardamom. 1 X 25ML LIGHT BLUE EDT. The differences are the amount or the concentration of oils that are in the scents. The higher the concentration of oils, the longer your scent will last, and the less you should need to apply. Are all of your products genuine?. Marke DOLCE & GABBANA. Typ Eau de Parfum. Produktgruppe Eau de Parfum. The one, a delightful Oriental spicy scent that has a wonderful combination of Grapfruit, ginger and orange blossom. Serie the one. The differences are the amount or the concentration of oils that are in the scents. The higher the concentration of oils, the longer your scent will last, and the less you should need to apply. Non collection.